With notes of Verbena, Lemon and Grapefruit - its perfect for the Summer sun. It comes as no secret that I am a huge fan of L’Occitane. I was first introduced to it on my wedding night at the Saxon Hotel, and since then have been buying it ever since. I am also a huge cologne collector, so every chance I get to try a new fragrance, I grab it with both hands. 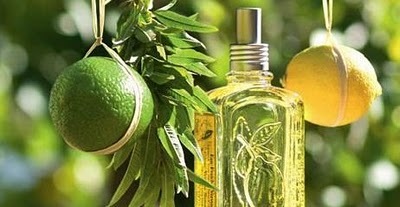 Now with Spring finally here, we move from using the intense woody / spicy fragrances that dominate in winter, to a fragrance note that matches our expectation of Spring and Summer – a light, refreshing and invigorating Citrus cologne – and few can compare with the L’Occitane Citrus Verbena Summer fragrance. With notes of Verbena, Lemon and Grapefruit – its perfect for the Summer sun. The standard Verbena range is marketed as a range that leave you refreshed and invigorated – and is probably one of the best products to give you a much needed wake up in the morning, or a burst of energy before you go out. The Citrus Verbena does that – on steroids. The scent is extremely fresh and will most definitely remind you of oranges, limes or lemons, but without you feeling sticky, sickeningly sweet, or worried you will be attacked by a swarm of bees. I am a sucker for a beautifully designed bottle, and while this is not on my top 10 regarding bottle design, I understand that L’Occitane wanted to keep the bottle true to the fragrance – simple, generous, and bright. Regarding the price, consider this a bargain at ZAR590 for 150ml – enough to last you through September to December at least. Or, try your hand at winning a bottle – just go through to the competitions page.